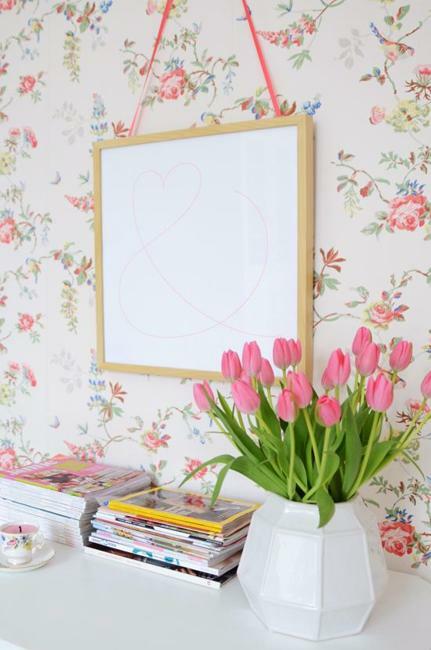 Flower wallpaper patterns and flowers painting ideas are great ideas for spring decorating. 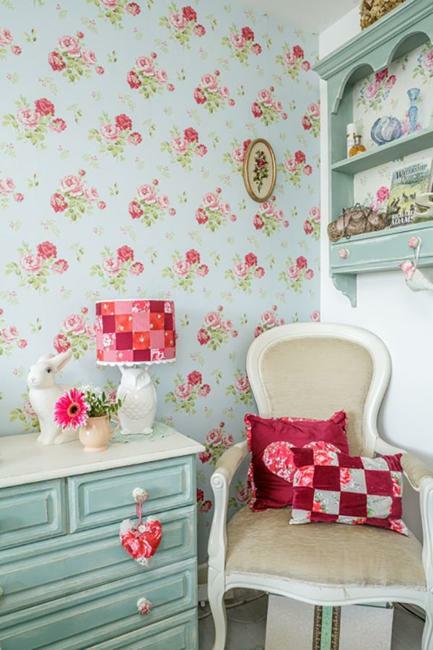 Bright and beautiful interior decorating with flowers and floral designs sets the spring mood like nothing else. 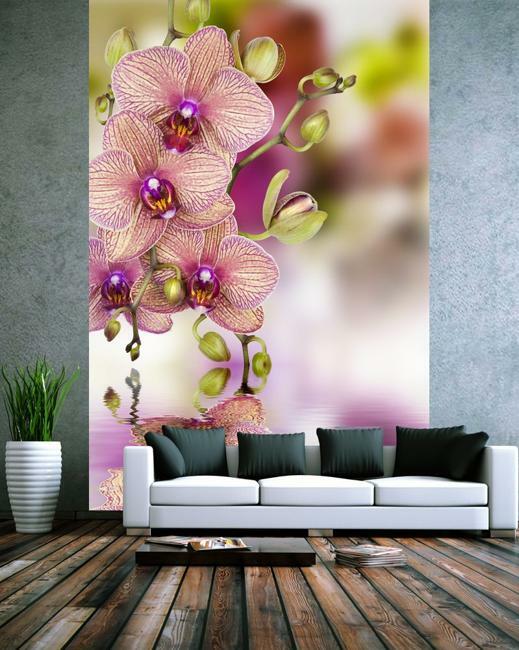 Lushome shares a collection of spring decorating ideas and tips for modern wall design with romantic flower wallpaper patterns, paintings, wall stickers and prints. 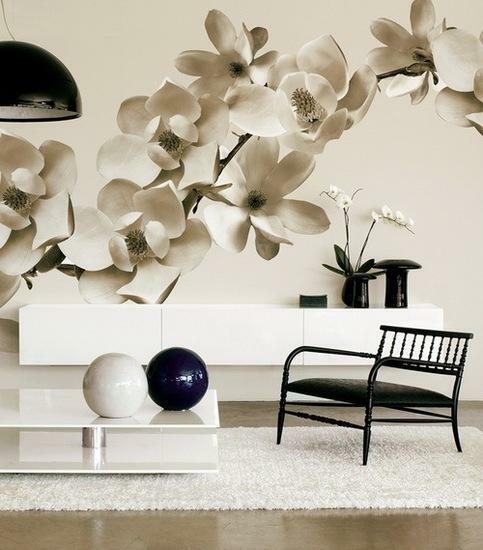 Colorful and bold black-n-white decorating ideas that include floral designs are dramatic and stylish. 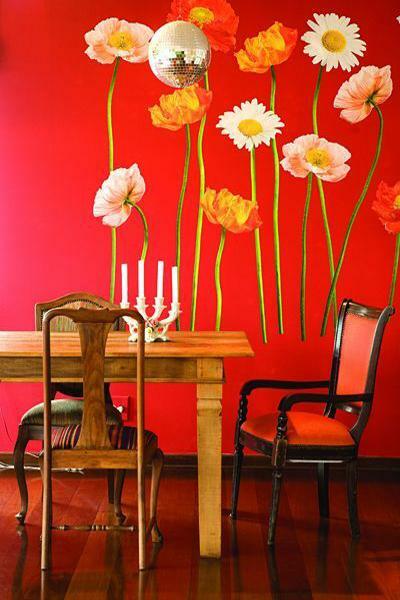 Flower wallpaper patterns can be combined with painting ideas and wall design in solid color. 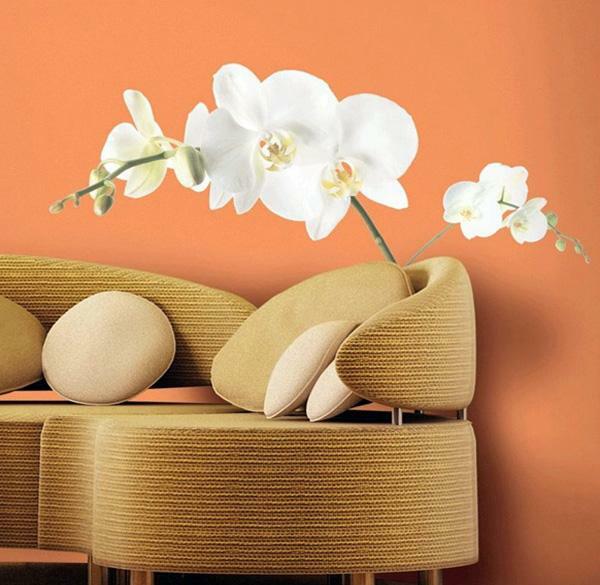 Creative combinations are a great way to disguise flawed or uneven surfaces and give unique character to modern wall design. 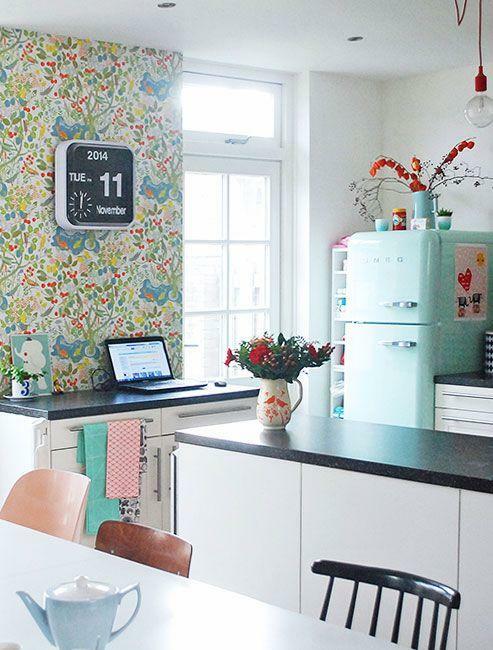 Flower wallpaper patterns, wall stickers and painting designs are modern trends in decorating that are perfect for refreshing rooms, home staging and spring decorating. 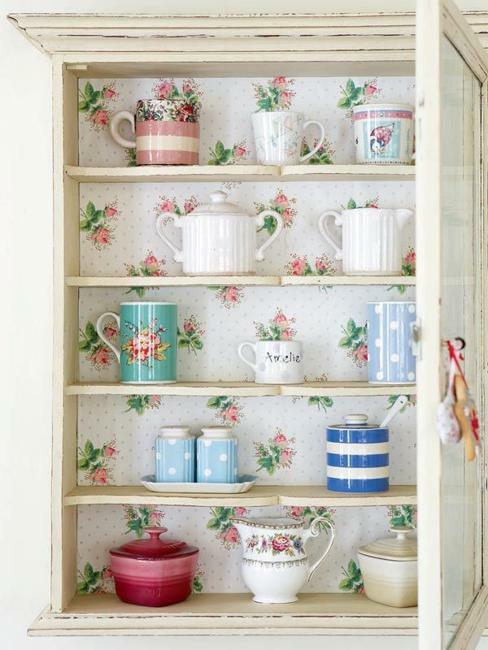 Interior decorating with flowers offer numerous different choices to use floral decoration patterns, and combine them with textures and bright room colors. 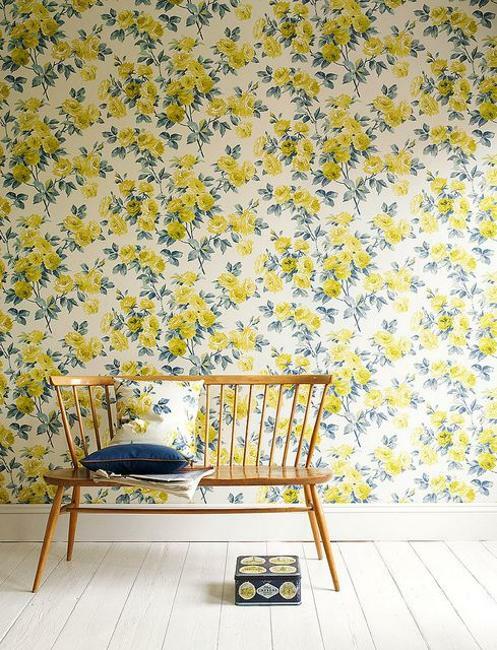 Floral wallpaper patterns delight and surprise, bringing a romantic feel and spring feel into modern interior decorating. 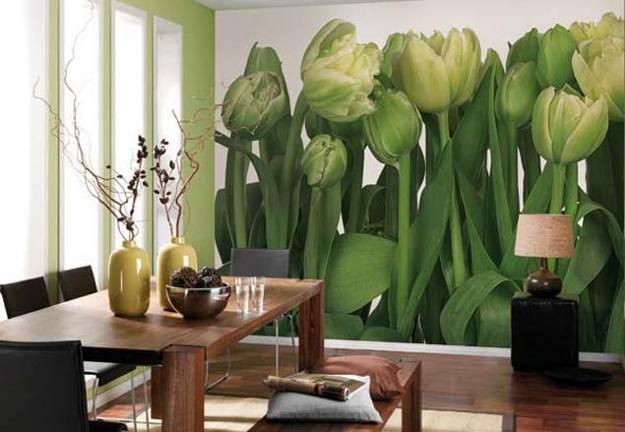 Black and white or colorful floral wallpaper patterns offer wonderful choices for spring decorating and home staging. 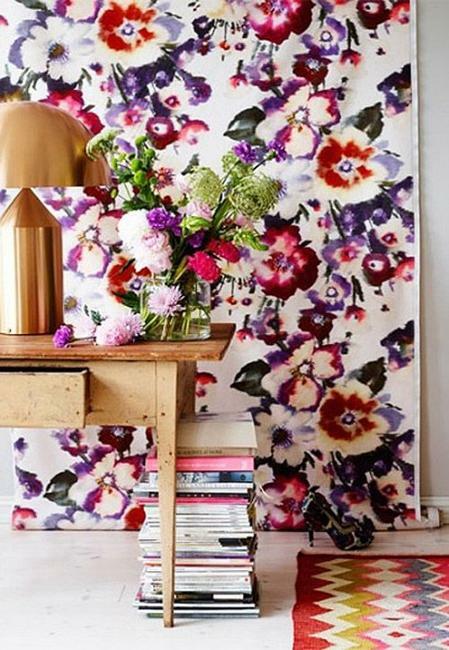 Floral designs are eye-catching and brilliant. 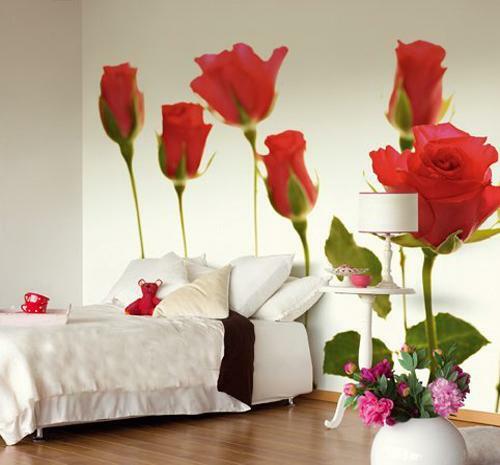 Floral designs compliment and accentuate room colors. 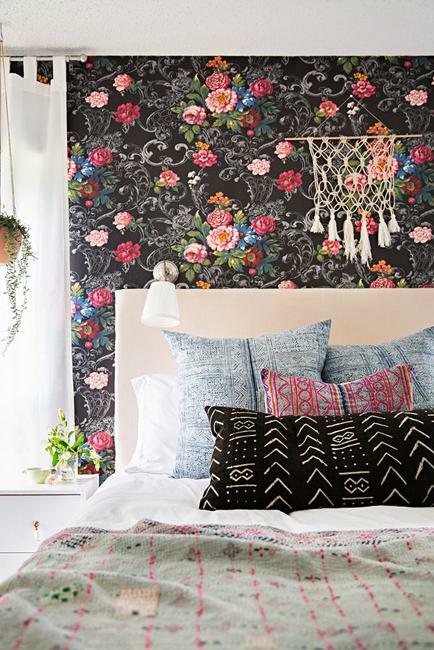 Floral designs stay stylish for years, and work well with modern geometric decoration patterns, allowing to experiment and update interior decorating with fresh accents. 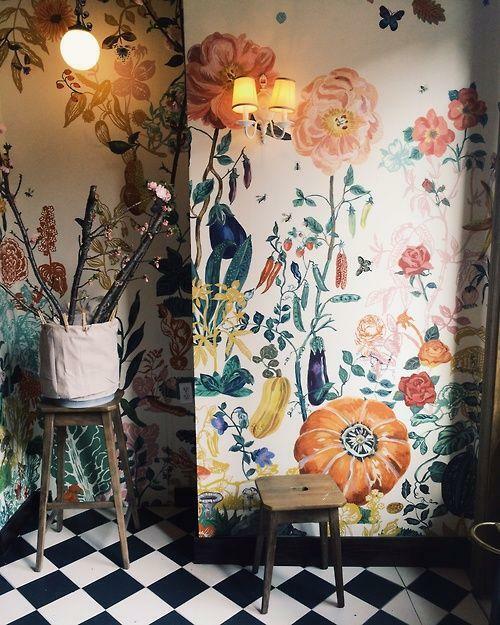 Flower wallpaper patterns and painted flowers on walls are sweet and charming. 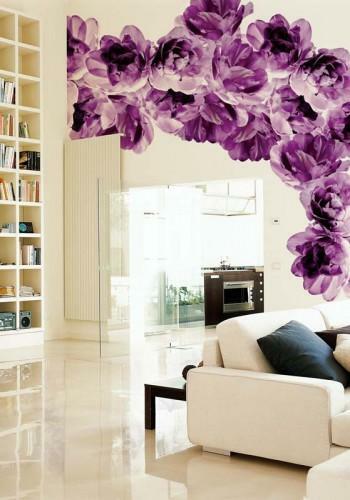 Bold oversize floral designs for contemporary interior decorating and small flowers for cottage decor create very beautiful, pleasant and modern interiors. 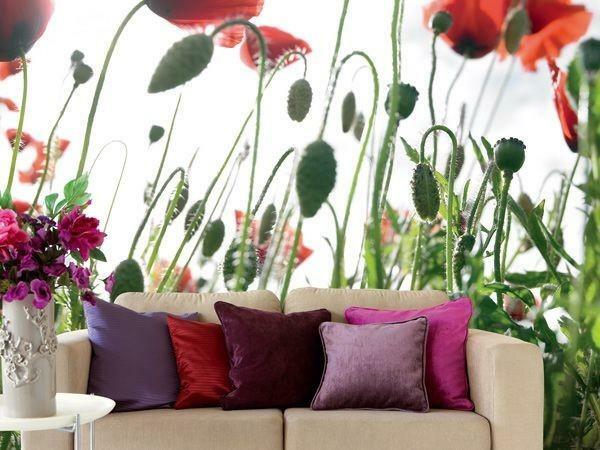 Flower wallpaper patterns and botanical wallpaper designs are a nice way to connect interior decorating with nature. 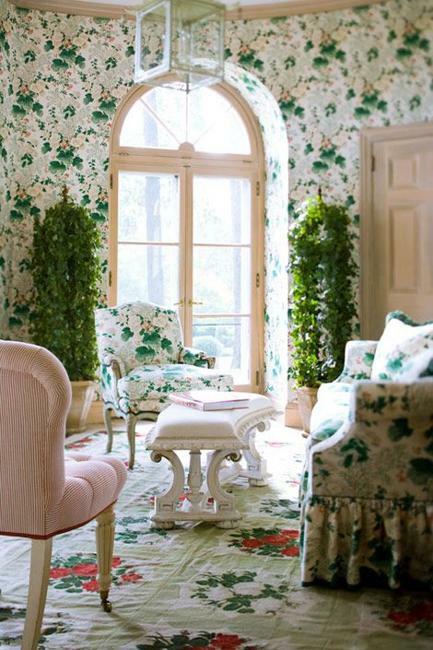 Beautiful flowers or a green leaves pattern are great for spring decorating and home staging. 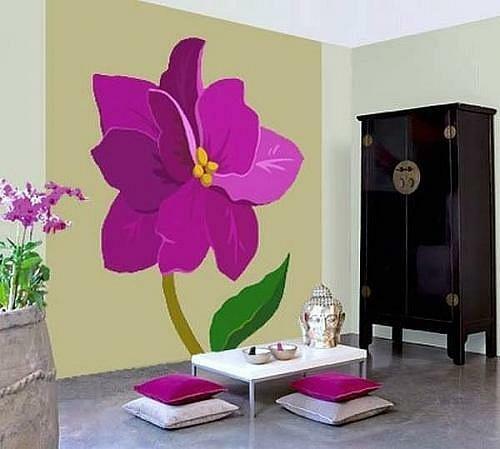 Oriental interior decorating ideas are one of the latest trends in decorating with nature inspired designs. Flower wallpaper patterns in an oriental interior help enhance unique wall design and compliment rich decor with images of birds, figures and lots of foliage. 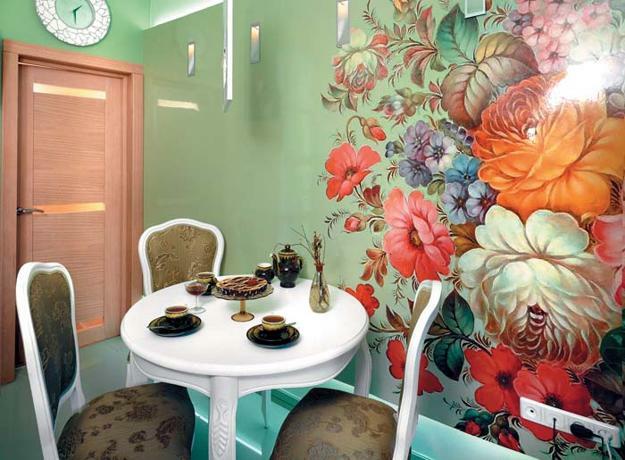 Flower wallpaper patterns and oriental interior decorating ideas create very beautiful combinations, enhance a feminine feel and set very pleasant atmosphere. 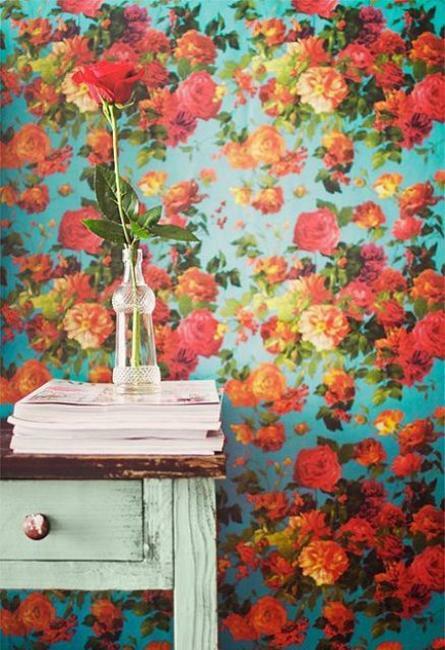 Floral wallpaper patterns in dark colors look comfortable and peaceful. 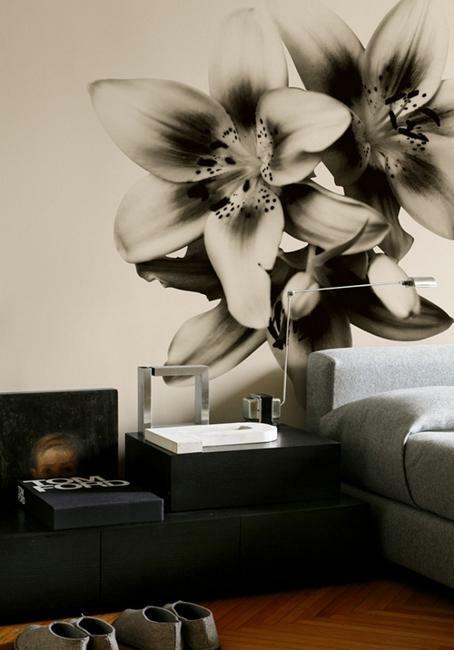 These combinations of floral designs and dark room colors are excellent for interior decorating with a masculine vibe.